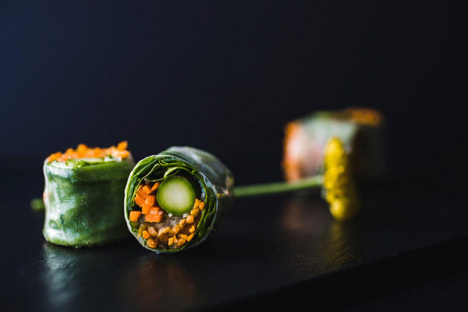 Vegetarian cuisine is increasingly popular—for the occasional meal or as a lifelong commitment—and we wholeheartedly approve! Meals can be nourishing and flavourful without meat or fish, satisfying even the finest palates. All you need is a little imagination, some healthy ingredients, seasonal produce, fresh herbs and exotic spices… The possibilities are endless! Our culinary experts have created a variety of 100% vegetarian, 100% delicious meals, including lunch options. Our vegetarian lunch boxes are a lot like the other lunch boxes on the weekly menu, except we replace the non-vegetarian items. Enjoy the lunch you want without compromising on taste. Trust us, it will be just as good, if not better! Robert Alexis offers you the possibility of switching the meat dish of the week with a vegetarian option, with either menu A or B.